I absolutely love homemade treats for Valentine’s Day, but not all of us have the time–or the talent, speaking for myself loudly and clearly. Also, shipping cookies yourself to a loved one who’s out of town can be less than ideal, as I once discovered firsthand. 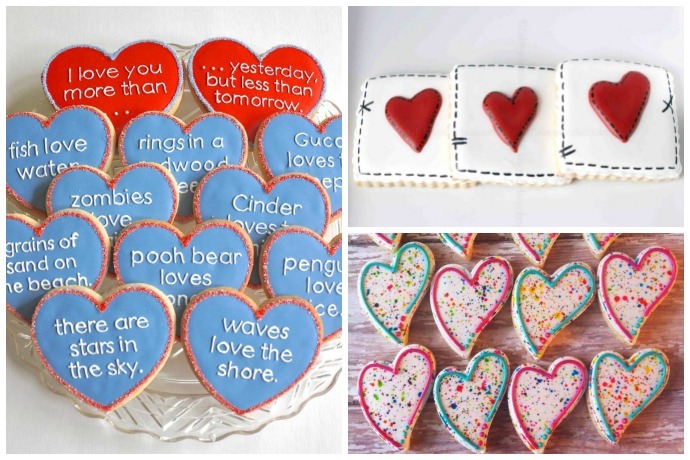 So I started looking around Etsy for some creative Valentine’s cookies and wow! 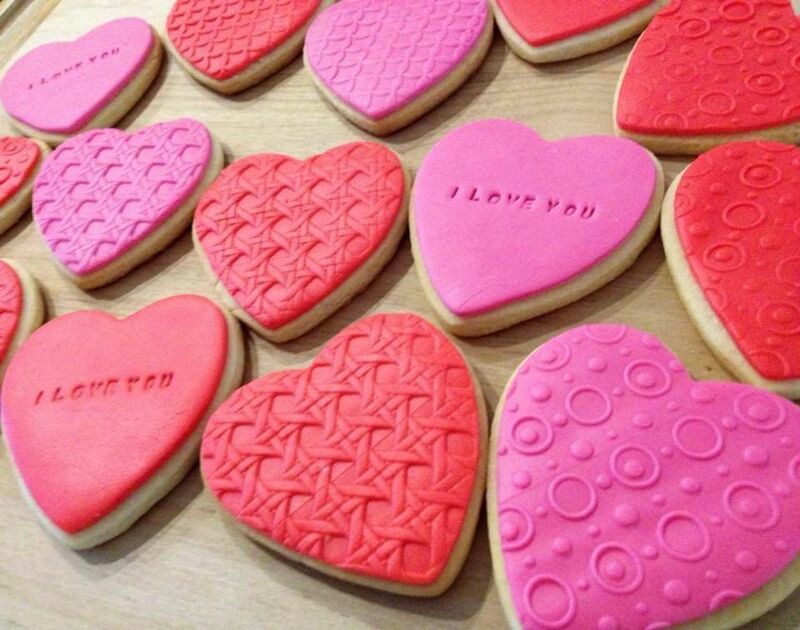 There is so much talent and ingenuity out there that goes beyond heart-shaped sugar cookies. So I put together some of my very favorites, all of which support small bakers around the country. Also, small gyms around the country. 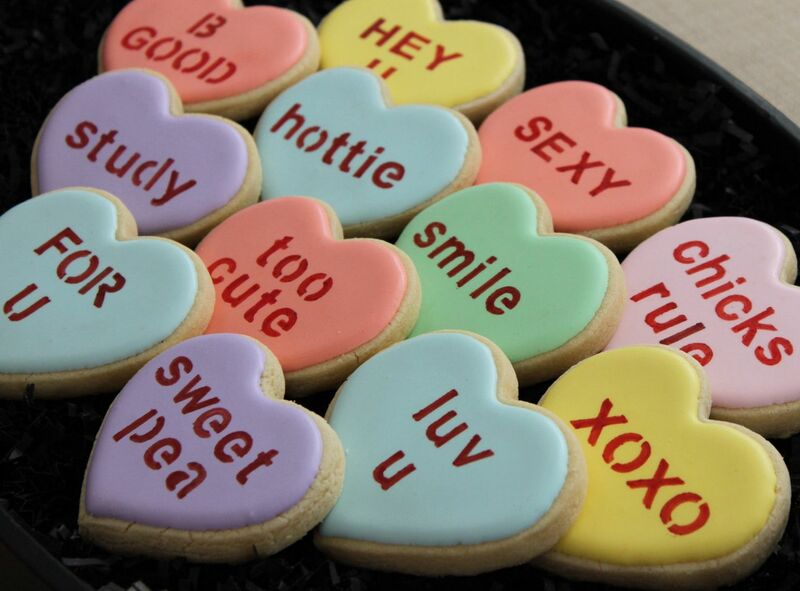 At least if you plan on eating all these cool cookies yourself. Is it just me or is there something kind of Tim Burton/Nightmare Before Christmas about this stitched heart style design? Okay, maybe it’s just me. But I do think anyone who appreciates great design, crafting, or yeah, Tim Burton, would probably love these. 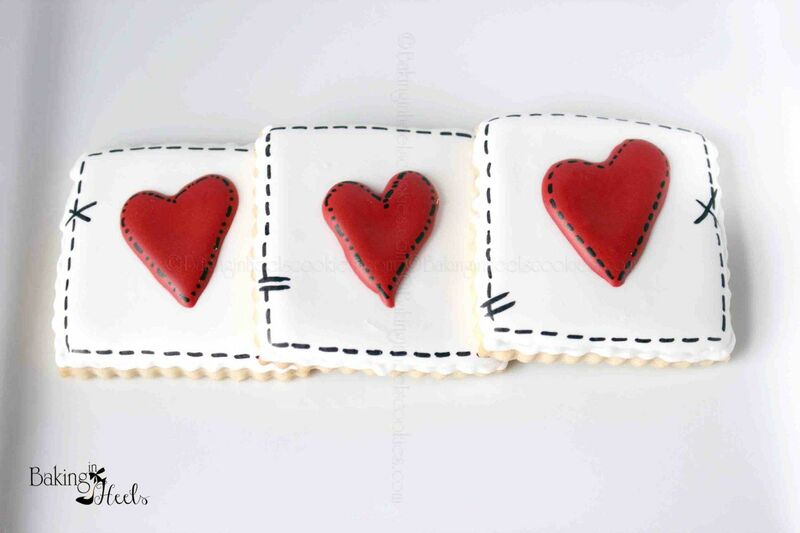 While sure, maybe those of you handy with the fondant could make them yourselves, we think the price is right to have Didi make a dozen of these totally adorable conversation heart cookies for us. Get as sweet or as racy as you’d like. Delivery takes about 2-3 days after your order. While surely there’s an easy DIY out there to help you achieve this fun tie-dye pattern, I think Heidi does it way better than I would. And my kids would love them. 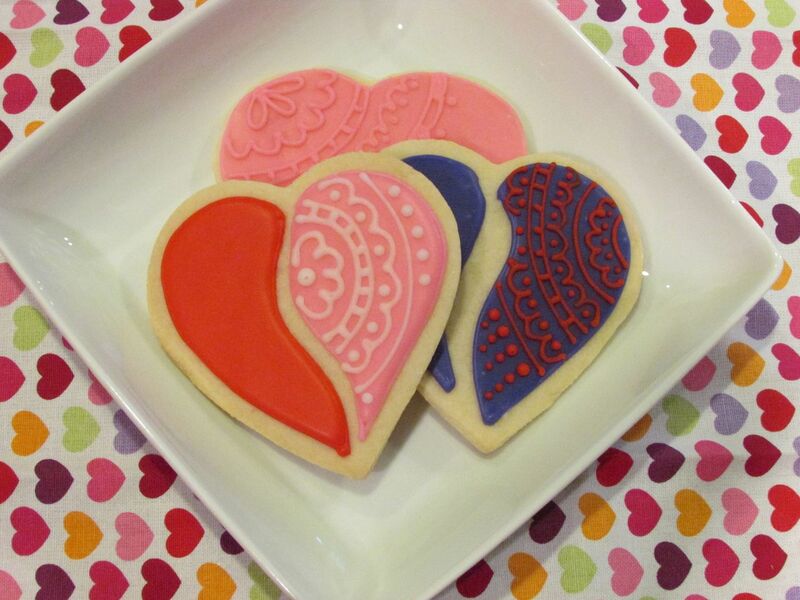 Here’s something I haven’t seen before but really love: Valentine’s cookies with a decoration inspired by Indian Mendhi design. Only these are made from frosting, not henna, so I imagine they’ll taste far better. And considering it’s part of the Indian wedding tradition, considered a symbol of good luck and sensuality, it seems perfect for Valentine’s Day, right? While embossing patterns into marshmallow fondant isn’t an outrageously new idea, I think California mom and baker Joanne does a beautiful job with hers. 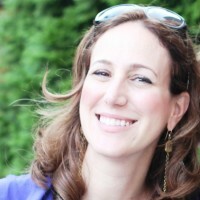 She can also make her cookies egg-free or dairy free, because giving a gift that produces a food allergy reaction isn’t very romantic. If you’ve got a long-distance love, a partner who’s out of town on the 14th, or just someone you’re thinking of who’s not as close as you’d like, this gift box is a clever concept, featuring cookies that remind us of snail mail cards. Aw, remember those? 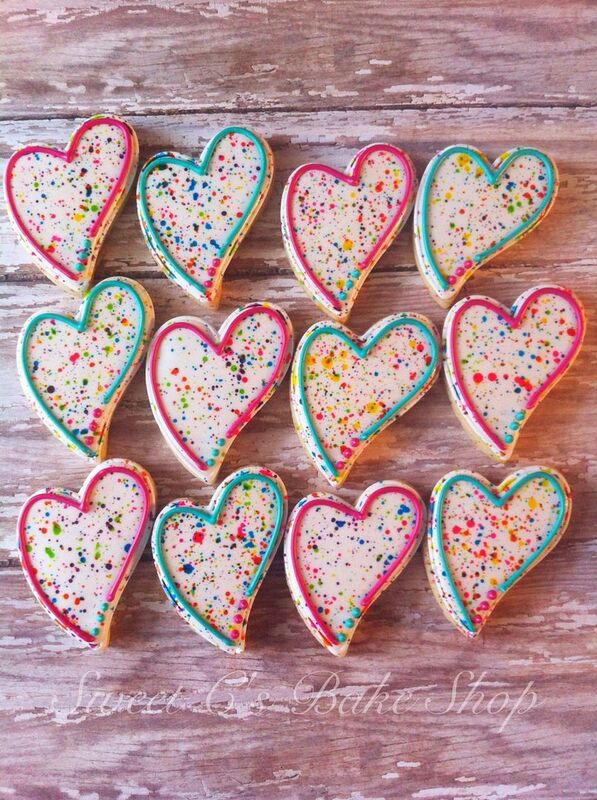 Paging modern art fans: Isn’t the splatter paint design on these asymmetrical heart cookies so creative? I think they’d be great for a friend, a child off to college, or someone who will just think they’re fun. 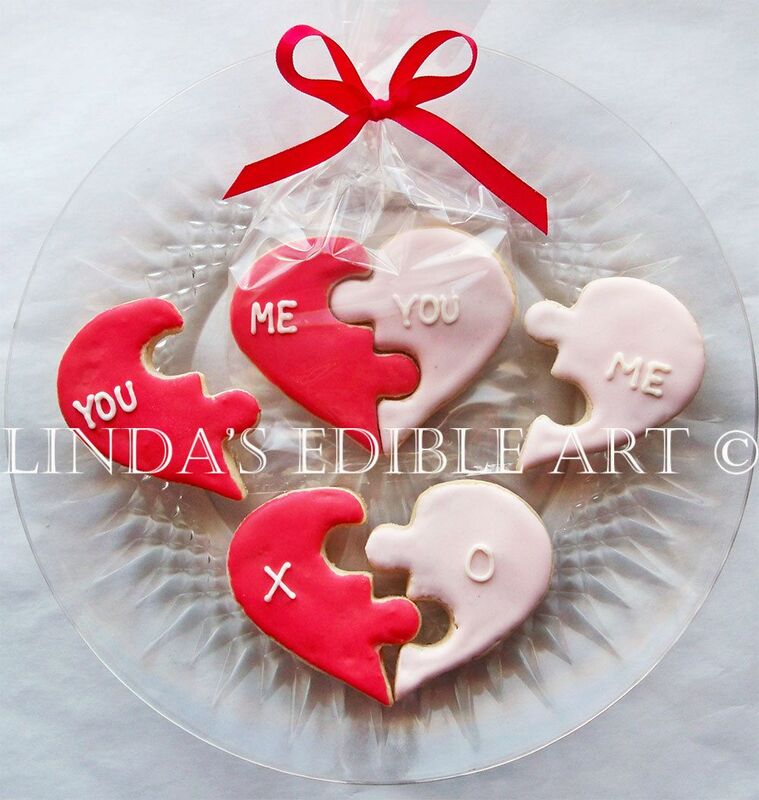 These cute puzzle heart cookies are a perfect way to say “you complete me”. After we complete these cookies. Because you know you’ve found the love of your life when he’s willing to share his cookies with you. 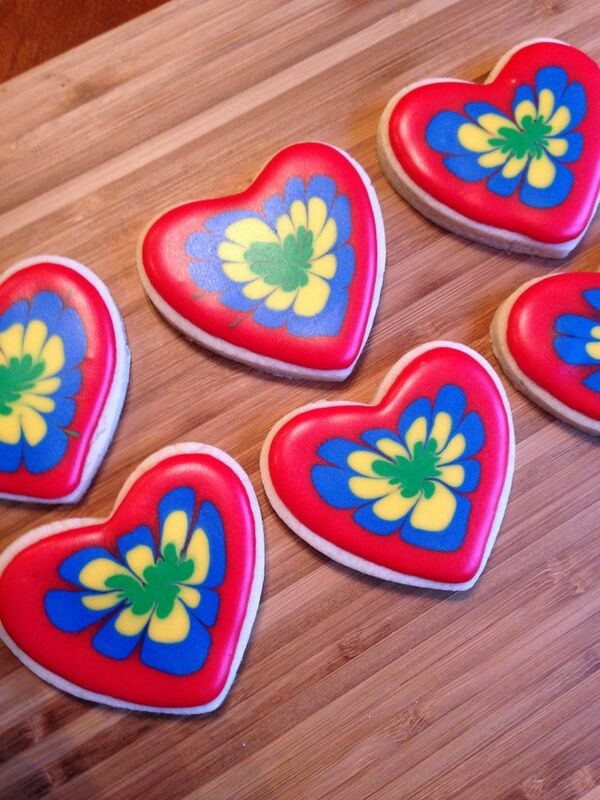 For a twist on conversation heart Valentine’s cookies, baker Kelley Hart had me at I love you more than…zombies love brains. But if you have your own idea (…more than a Kardashian loves selfies) she takes custom orders too. Just get it in soon! 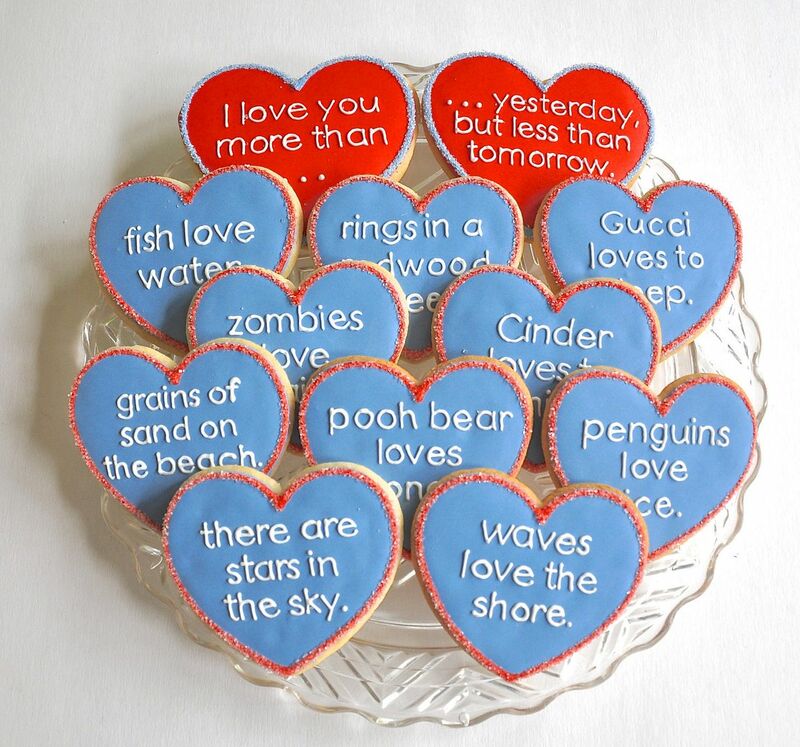 Or you’ll need double the cookies to make up for missing Valentine’s Day.